Clorox Disinfecting Wipes easily clean and disinfect most surfaces, such as acrylic, glass and vinyl. Premoistened wipes are ready to use and disposable after one use. Simply wipe and let sit for 30 seconds to sanitize or 4 minutes to disinfect. Thick textured wipes deliver a low-streak formula for use on shiny surfaces like glass and mirrors. 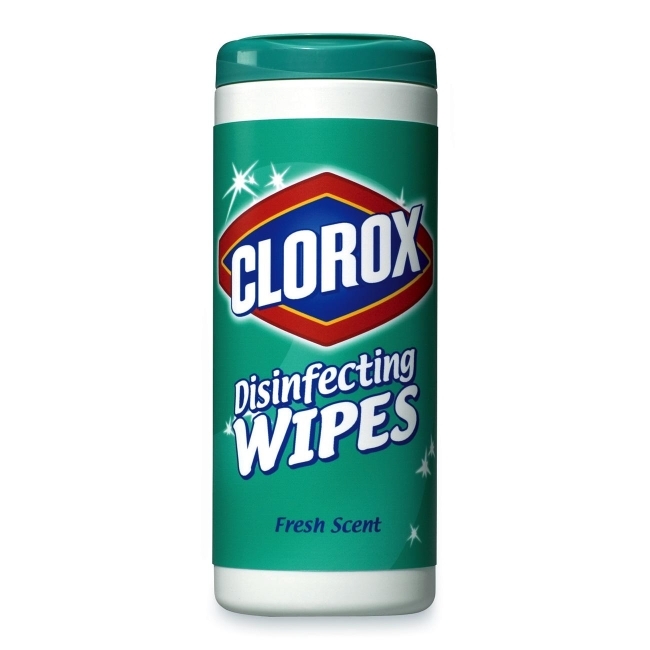 Wipes kill 99.9 percent of germs including viruses that cause colds and flu (Rhinovirus and Influenza A2). Formula is effective against common bacteria such as Staphylococcus aureus (Staph. ), Salmonella enterica, and E.coli. Airtight canister package keeps wipes moist and dispenses wipes one at a time.